Hold onto your hats because we’ve got some exciting fairytale-filled news! 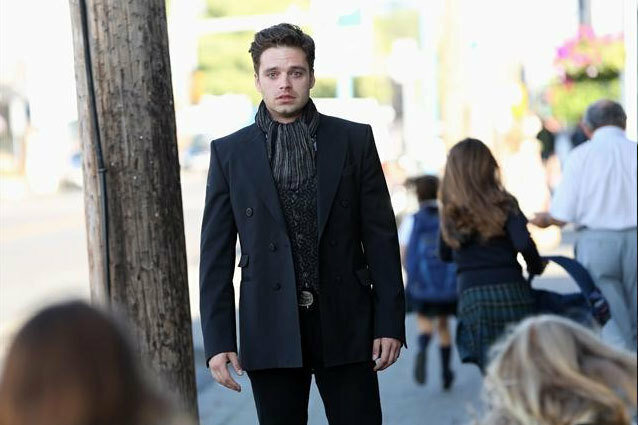 Rumors have recently been swirling throughout the internet that Once Upon a Time creators Adam Horowitz and Edward Kitsis are looking to create a Mad Hatter spinoff — without the spellbinding actor Sebastian Stan. We at Hollywood.com could not bear the thought of such wicked news, so we caught up with the creative duo at Sunday’s Once Upon a Time PaleyFest red carpet to set the details straight. “It’s not even Mad Hatter!” Kitsis says. The creators revealed that their new idea is merely a whimsical kernel that since has popped into a into a wildly misreported rumor. “There’s a lot of misinformation out there,” Horowitz says. “I’d just say it’s an idea we’ve been tinkering with — there are no plans to recast anyone. It’s just something we’re playing around with.” Do you all hear that? That’s the sound of millions of girls collectively exhaling in relief and glee. Kitsis sums up their overall vision for the show: “An epic love story set in the sick, twisted world of Wonderland — but a limited edition.” The intrigue of American Horror Story mixed with multi-dimensional characters that only Lost’s Horowitz and Kitsis can create? We’re already enchanted! What do you think of this American Horror Story-inspired fairytale? Relieved to know that Sebastian Stan’s role as Mad Hatter is safe? Tell us your thoughts in the comments below!